Linux demo beta 0.76 out now! 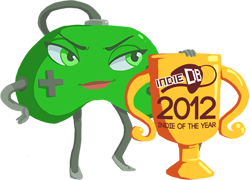 « Vote for RWR in Indie DB 2012 Indie of the Year awards! Yeah, you read right the first time, I’m back from the dark dungeons of porting, presenting you the Linux demo build! The full Linux build will follow soon available in Desura, just matter of getting it authorized by Desura staff now. Porting itself went fine, thank you, but getting up a closed source binary package with most of dependent libs included compatible with multiple distros was something rather unknown to me, only time and testing will tell how well the first attempt at it went Looking forward to get some feedback about how well the package holds together! The demo includes the renewed map2, with vehicles and online gameplay disabled, you know the drill. Also, the Windows demo build has been updated to 0.76 now too. Don’t forget all the voting that’s taking place at the moment! RWR is now in top 100 games of 2012 Indie of the Year Awards and phase 2 is on – continue voting by clicking the image below! Getting this error, won’t run. With OGRE giving out the same error for something else made with OGRE, the user could get it running by first doing “apt-get purge nvidia-current” and then “apt-get –reinstall install libgl1-mesa-glx”. I’m not directly saying this is what you should do, I don’t personally have enough knowledge about dealing with Linux + NVIDIA. The fact, that the user in the thread made the error go away with that, indicates to me that the problem is somewhere in the driver department. Also, does it produce the same error regardless if you try to run the game in fullscreen or windowed? Does even the launch_config run ok, btw? Tried to reinstall mesa, nvidia driver and xorg, no luck. Windows version works in wine 1.5.19, no issue.